Lilian Esoro has birthed another baby, not a child tho, but it is as important as a child because lives are involved. 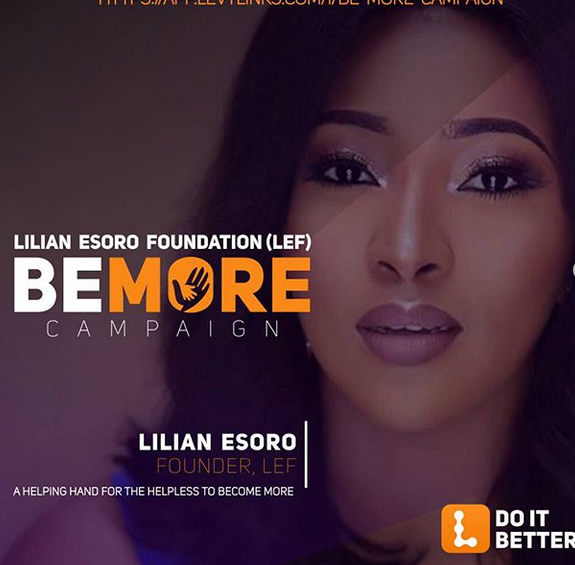 Ubi Franklin's ex, Lilian now has a foundation-- The Lilian Esoro Foundation, which is starting a campaign titled "BE MORE". 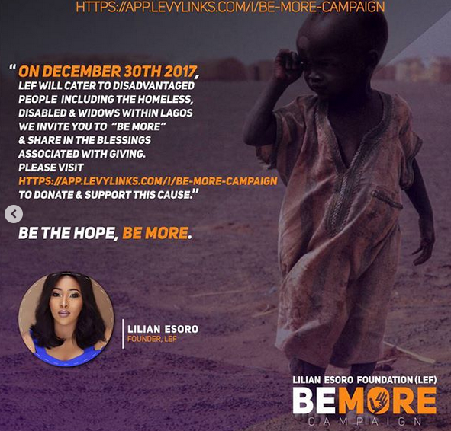 It's a campaign aimed at caring for the helpless in Nigeria. Her mission is to send kids back to school, create a sustainable livelihood for the widows and single mothers. She is however asking for support of Nigerians so she can put permanent smiles on people’s faces. According to what she rolled out, no amount is too small to contribute. Her foundation also accepts items like, foodstuff, books, bags, cloths, socks, pens, exercise books anything to help a child return back to school. The venue for this year's event will be announced soon. You can also follow her on IG lilianesoroo for more details.